It’s that time of year. I thought I wasn’t going to go this year, but turns out I have business to attend to, so I will be at SDCC, and speaking on the Black Panel again. 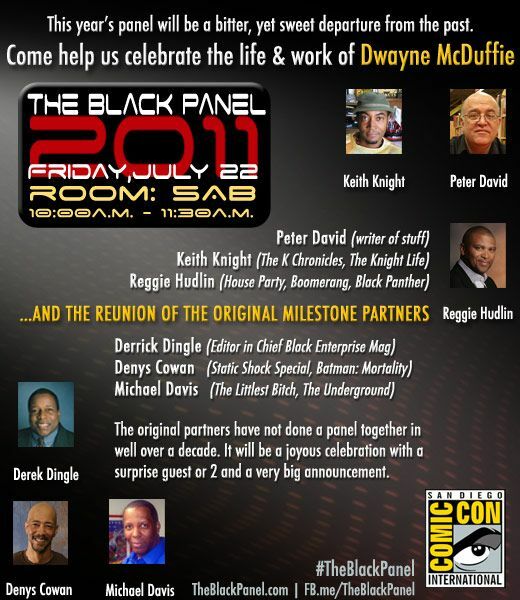 This year will be the reunion of the original Milestone creators in a tribute to Dwayne McDuffie. I hope to see you all on Friday, in room 5AB from 10am to 11:30am. If you’ve never been to a comic book convention, or a large one, this video really explains it. It’s about a popular one in Atlanta, but the visuals and social dynamics apply nationwide.